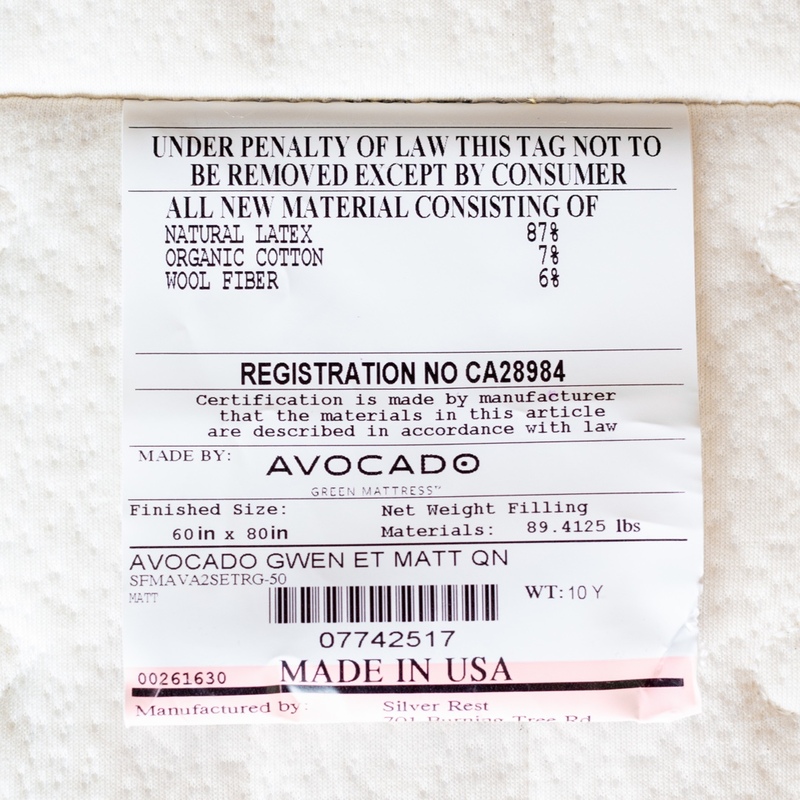 What does the legal label tag on your mattress say? We believe in radical honesty and have nothing to hide. 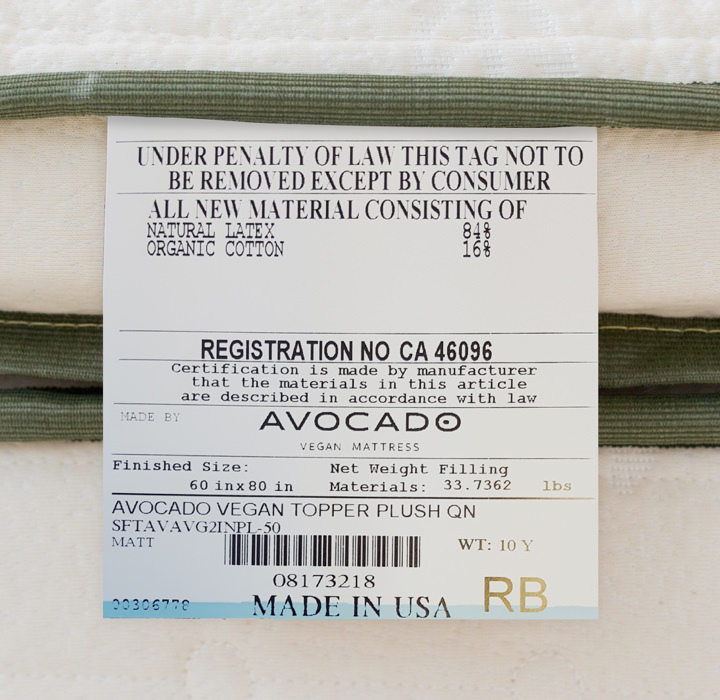 Read the legal labels on our Green Mattresses, Vegan Mattresses & Mattress Toppers. We believe in radical honesty and have nothing to hide. 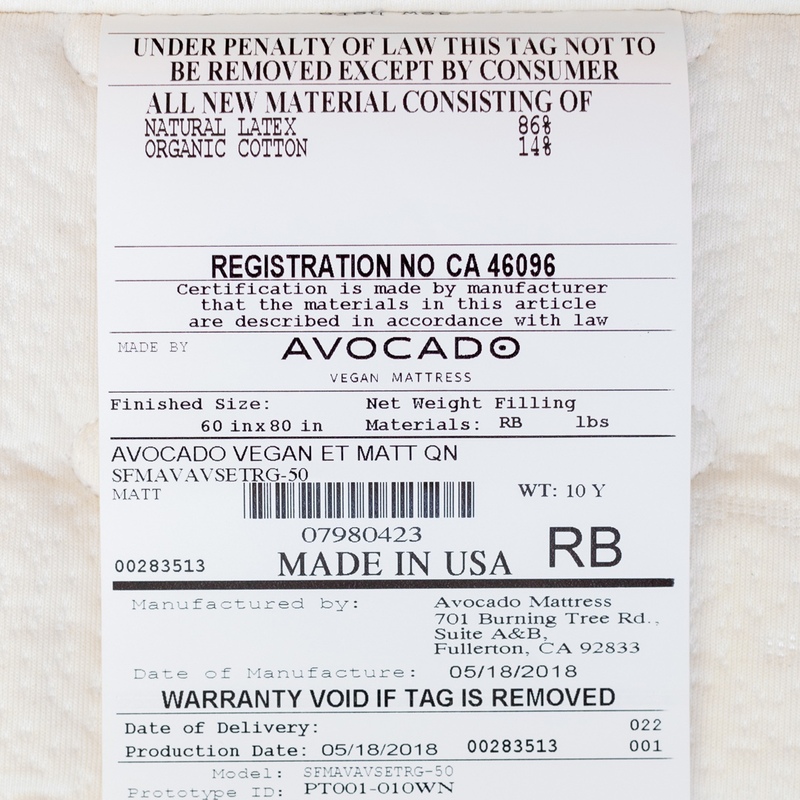 In fact, because we are so proud of what's inside our mattresses and toppers, we fully disclose — before you buy your mattress — exactly what our law labels discloses. 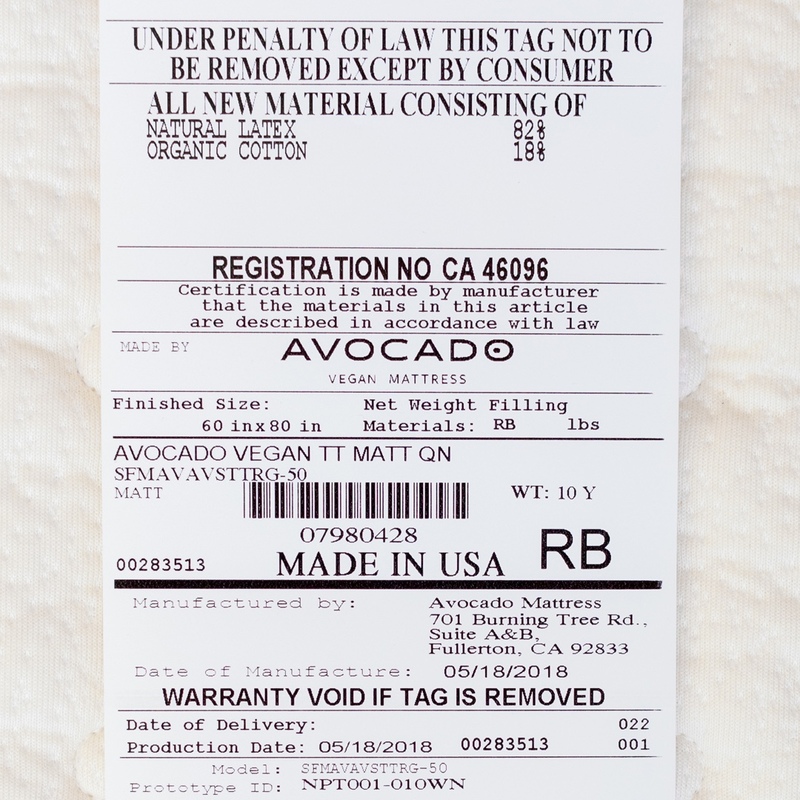 The terminology and information included on the law label is strictly regulated for uniformity. 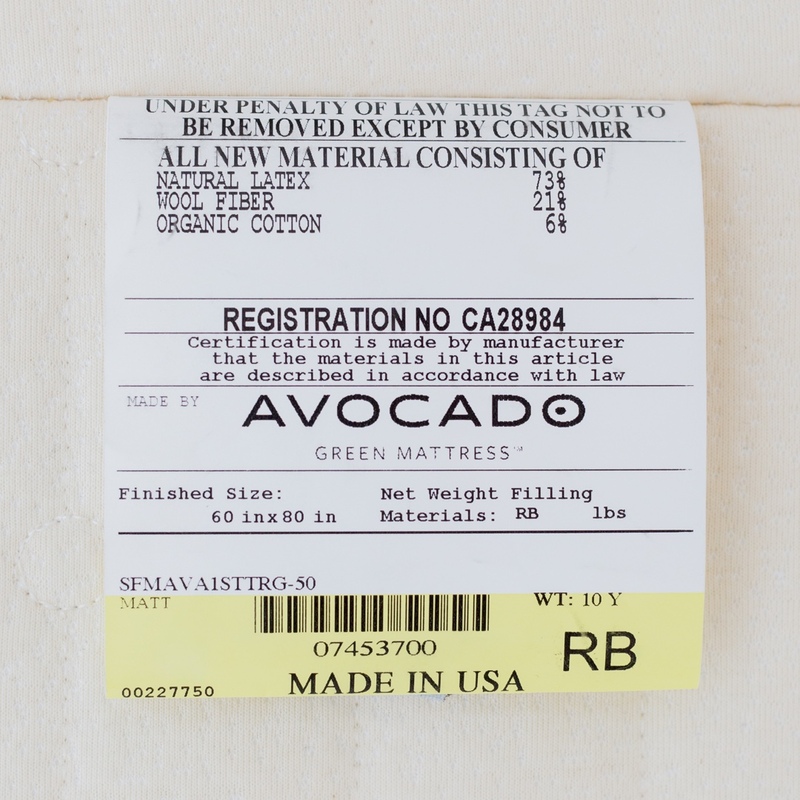 Filling materials are listed in order as a percentage of those filling materials by weight. 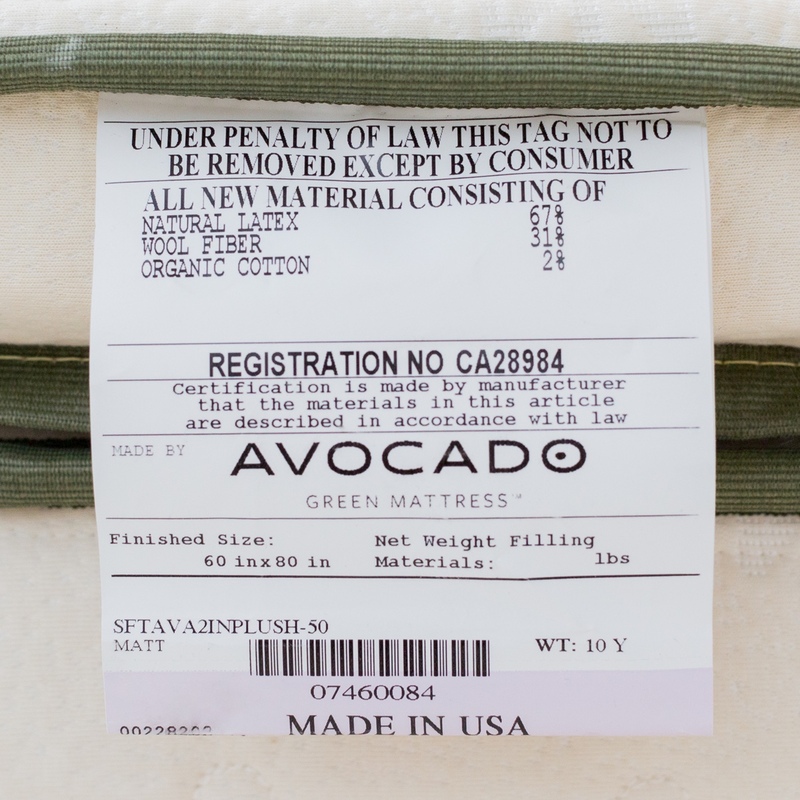 For mattresses, these percentages will vary, based on the size of the mattress purchased. The size of the mattress is noted below. For toppers, they will vary slightly between the plush and firm options as well. As an agile business in pursuit of excellence, we are incessantly making product enhancements and improvements. As a result, the content on this page reflects this philosophy and may change, as we continue our quest to offer the most natural and eco-luxury products possible at affordable prices.